Knowing what's really important to consumers is critical to acquisition, retention and cross-selling in the banking industry. But Millennial stereotypes frequently fool financial marketers, muddling their marketing strategies with faulty assumptions. Turns out they love branches just as much as Gen X and Baby Boomers. And all generations share one thing in common: They expect more, particularly in digital channels. Just when financial marketers feel like they’ve got Millennials pretty well pegged, a closer look reveals that there’s more lurking behind the usual stereotypes. In fact, some assumptions about this huge demographic that have been accepted as gospel may be leading some banks and credit unions down the wrong road. Or at least a bumpier one. Let’s take the widely held belief that Millennials want digital, all-digital, all the time — that they wouldn’t be caught dead in a branch. Everybody knows that, right? Research from the Bank Administration Institute (BAI) takes a sledgehammer to this Millennial myth, and many others. When BAI researchers asked three different generations — Millennials, GenXers, and Baby Boomers — what their priorities were when shopping for banking services, most of Millennials’ top choices are no surprise. They want good points and rewards, and a financial institution with a solid brand reputation. But the top priority for Millennials? Convenient branches. And Gen Xers said the same thing. What consumers are looking for when evaluating banking products and other retail financial services. Equally surprising is that all three generations ranked superior digital capabilities near the bottom when listing their priorities. What lies behind these seemingly surprising findings? Byron Marshall, BAI’s Director of Research, believes he has the explanation. “Digital is just table stakes,” he said. Today consumers assume a bank will offer good digital access to accounts. 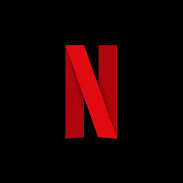 They also assume that as new channels evolve, old ones will remain available. While digital is table stakes, that doesn’t mean it isn’t important. Marshall says that if an institution’s digital access is poor or virtually nonexistent, that will count heavily against it. In fact, according to his associate, Mark Riddle, Director of Research and Content Delivery at BAI, half of all Millennials would switch to another bank or credit union if they heard it offered a digital app that was superior to the one they were using at their current banking provider’s. BAI’s research again battered popular misconceptions about Millennial’s preferences and usage patterns when it comes to retail banking channels. When looking at the average interactions each generation had with typical services, Millennials used mobile banking almost twice as much as they reported using a branch or a drive-up station. But that’s only part of the picture. Reality Check: Millennials use branches and drive-ups more in a month than either GenXers and Boomers. In fact, in all but one category of service, Millennials use their primary financial institution’s services — from physical to digital — more in a month than any other generation. Boomers, Dahlgren explains, hark back to a time of “banker’s hours” and in-branch paycheck cashing. To them a weekly trip to their financial institution — often on Fridays — was the limit of their interaction. By contrast, he continued, Millennials have grown up with both information and services always being readily available — from banking apps to movies on Netflix. “That’s just what their patterns are,” Dahlgren says. Digital access hasn’t negated the desire for other channels, at necessary times. “There’s an insatiable need for information to help people with general financial awareness,” Dahlgren points out. An interesting ripple effect of the growing number of channels, and the fact that “consumers keep using all of them,” says Riddle, is that institutions’ call centers are growing, not shrinking. “You need more people to answer the questions that each new channel is creating,” said Riddle. BAI’s findings were part of a broader research project concerning how financial institutions acquire and retain consumer relationships across generations, and then cross-selling that base. Broadly, consumers’ primary financial institutions have some degree of “home court advantage,” but not nearly the leg up that they’d like to think they have. Respondents were asked if they would give their main provider all of their future deposit business — 45% said yes, with results similar among the generations. That finding came in more positively than what surveyors heard about investments and loans. Regarding investments, only 26% would give their primary financial institution all of their future investment business. Millennials were slightly higher, at 29%. Older generations still tend to divide their financial relationships into two camps — banking products vs. brokerage products — and separate their respective business accordingly, and almost always with traditional providers. 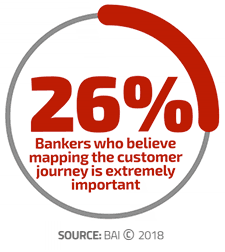 Many financial institutions have told BAI researchers that they have had little- to no success changing how older consumers perceive their brands and manage their financial relationships. Banks and credit unions face an even steeper challenge in credit. Overall, only one quarter of consumers — including Millennials — say they would always borrow with their primary institution. Marshall says that all generations are open to borrowing from multiple players, and Millennials intentionally spread their credit business around. BAI’s Dahlgren blames some of the failure of banks and credit unions to cross-sell more to customers on “stovepiping” — different silos in the institution failing to work with- or even communicate with each other. According to Dahlgren, this will become a growing concern for institutions wanting more of Millennials’ business because in increasing numbers they will be coming into their inheritances from their Boomer parents. Can many institutions currently say they are prepared for that? The association’s study found a curious trend. Consumers who had been through the cross-selling process at some point were more likely to move their business to another financial institutions, typically about a year or so later. “The experience of opening an account was a negative factor in retention,” explains Riddle. What’s so unpleasant about opening bank accounts? “Everything is pretty difficult,” says Riddle. Dahlgren offers an example: the online application process, which is still a conundrum for many institutions. “Know Your Customer” (KYC) compliance requirements can be difficult to carry out or off-putting, which does not send a friendly message. Dahlgren says that — having invited consumers in — the typical provider then proceeds to scrutinize them. Consumers would like to be seen as an opportunity rather than a risk, Dahlgren explains. Boomers and GenXers tend to be less negative about account opening and cross selling than Millennials, in the BAI research. Marshall thinks each generation’s attitude hinges on what they have known. The older a consumer is, the more likely they remember account opening procedures that were even more cumbersome and annoying than what institutions use now. So, Marshall reasons, they see today’s practices as an improvement on their past experiences. Millennials, by contrast, see the same measures as clunky when compared to the customer experience they enjoy with other companies. Multiple elements go into acquisition, cross-selling, and retention, as described, but one not treated with yet are the front-line staffers that banks and credit unions rely on to make lofty sales goals a reality. Less than a third of employees strongly agree that they have the training necessary to do their jobs. Only half of organizations surveyed take proactive steps to hold onto high performers. Less than half of employees know of any leadership development program at their organization. Not surprisingly, most HR professionals queried believe their employee turnover is too high. Against these and other weaknesses, there’s plenty of room in the “customer journey” for consumers to fall out. Yet, as the infographic shows, many institutions do little or nothing to figure out where the weak spots lie. This article was originally published on October 2, 2018 . All content © 2019 by The Financial Brand and may not be reproduced by any means without permission.